But wait, you’re throwing out so much nutritious goodness! From trash to treasure, this week we’re showing you how to utilize the often overlooked parts of some our favorite vegetables! Many boast that using the whole vegetable eliminates food waste, but we’d also like to highlight how much more nutrition is contained in the other parts of the plant as well as adding a little bit of unique creativity to your dishes. By consuming only part of our vegetables, we’re missing out on opportunities for added flavor as well! Part of the fun of root-to-stem cooking is the creativity it involves. As the trend grows, chefs have added interesting elements to their dishes using uncommonly used vegetable parts. For example, large cauliflower leaves cut into beautiful ribbons to add beautiful linear elements to salad in restaurants. These greens are delicious raw and also can be blanched or braised while still holding their shape. This makes it great for substituting into your favorite pesto recipe or enjoyed as a southern inspired slow simmered dish. For a savory turnip greens pesto recipe, hop on over to our recipes page! Beet greens, are nutritional powerhouses offering antioxidant vitamin C and important vitamin A. 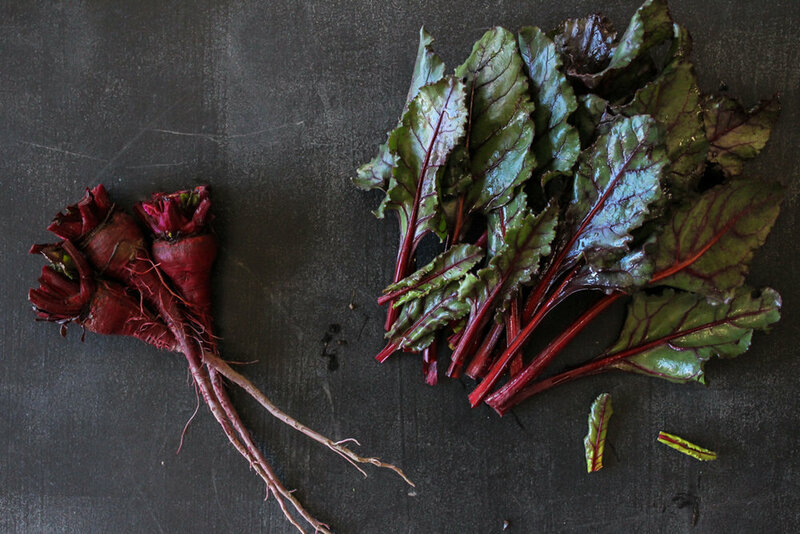 One half cup of beet greens supply thirty percent of the RDA for vitamin C. Chop them up and enjoy them in your salads, juice them for added nutrition to your morning routine, or sauté them with a little garlic and butter as a side dish. The stalks and leaves are milder in flavor than the broccoli florets which make them the perfect addition to more flavorful dishes such as soups and stews. We’ve seen these made as oven baked chips, broccoli rice, and best of all broccoli stem noodles! Yum! Don’t worry if you don’t have bunnies or guinea pigs at home, you can still utilize these deliciously nutritious carrot tops. We recommend tossing bits into a salad to bring out a more herbaceous flavor. 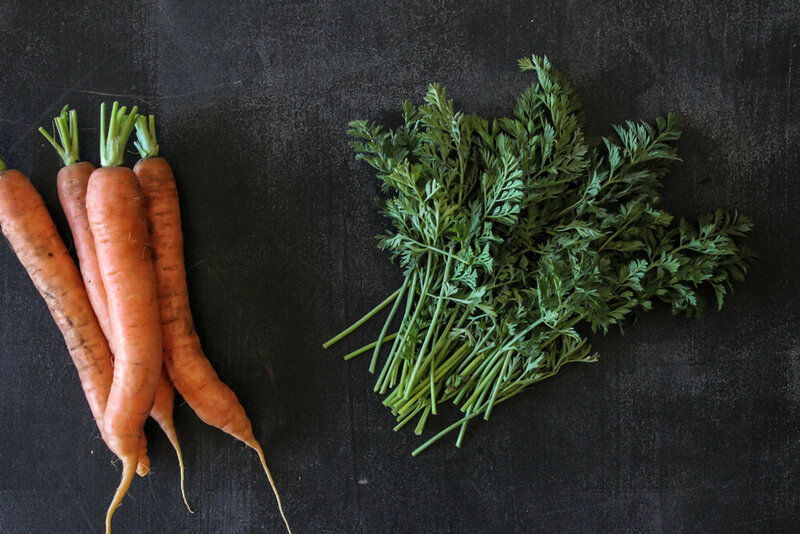 You could also whip up a quick carrot top pesto to add on top of your oven roasted carrots!